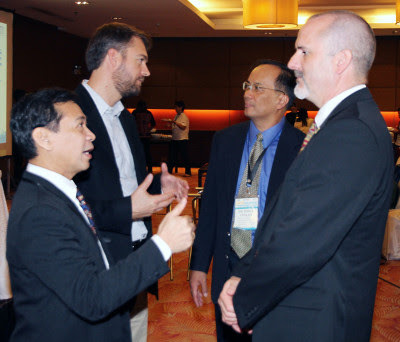 The Philippine Innovation Summit aims to bring together innovation professionals from the Philippines and the U.S. It is designed as days of dynamic discussions and exchange of ideas for the creation of inclusive economic development utilizing innovation strategies and tools. An expected 350 delegates will constitute the attendance of the summit. This conference was organized in collaboration with the Intellectual Property Office Philippines (IPOPHIL) with the aim of sustaining innovation in science and technology. Its objective is to attract individuals working at the intersection of university and industry innovation. This will provide the necessary space for incubating partnerships and collaborative projects. This conference presented a range of innovation ecosystem models and assessments while drawing from the expertise and experience from the Philippines and the U.S. There were examples of successful ecosystems presented and an assessment of the Philippine ecosystem. These were followed by specific presentations relating to Life Science BPM Innovation Cluster. The conference was attended by innovation strategists and life science practitioners that identified improvement pathways which is a key element in the economic growth of the country.